Lenora Mattingly Weber wrote books and short stories for over 40 years. She is best known for her Beany Malone series and Katie Rose/Stacy Belford books. Lenora Mattingly Weber was born in Dawn, Missouri. When she was twelve, her adventurous family set out to homestead on the plains of Colorado. Here, she raised motherless lambs on baby bottles, gentled broncos, and chopped railroad ties into firewood. At the age of sixteen she rode in rodeos and Wild West shows. Her well-loved stories for girls reflect her experiences with her own family. As the mother of six children and as a grandmother, she was well qualified to write of family life. Her love of the outdoors, her interest in community affairs, and her deep understanding of family relationships helped to make her characters as credible as they are memorable. Mrs. Weber enjoyed horseback riding and swimming. She loved to cook, but her first love was writing. 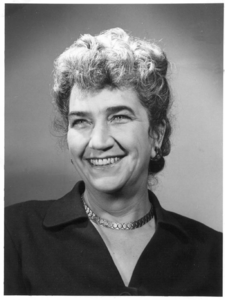 Lenora Mattingly Weber wrote books and short stories for over 40 years. She is best known for her Beany Malone series and Katie Rose/Stacy Belford books. Beyond these series, Mrs. Weber wrote ten non-series books which are also captivating to readers of all ages. Her numerous short stories in McCall's, Ladies Home Journal, Good Housekeeping, Saturday Evening Post, American Magazine and Pictoral Review reveal this author's amazing gift for character presentation and storytelling. In both novels and short stories, Lenora Mattingly Weber introduces the reader to characters who become real life people. These characters take on lives of their own in the readers world - so much so that readers read and re-read the stories in order to maintain the relationship with these people. Few authors are able to create such longevity in a character reader relationship. Lenora Mattingly Weber and son, David Weber co-wrote Nonie, the Autobiography/Biography of Lenora Mattingly Weber? David was the prototype for Johnny Malone! PERSONAL LETTER TO Suzanne LaMotte Stepp, from Lenora Mattingly Weber, 1970. "My dear Suzanne," she wrote, "How very sweet of you to take time to write me about my books! And your kind words about them certainly warmed the cockles of my heart -- although I've never been sure what cockles are. "I'll tell you a secret. Beany is almost a younger me. That is, she has, you might say, my better qualities, such as loving to feed people and do for them but none of my ornery traits. My own daughter, Rosemary, is a much nicer person than I -- she's always gentle, quiet, and understanding and undemanding. I got the name, Beany, from a girl friend of hers whose name was Bernice but who was called Beany. We have five boys and a girl, and Johnny Malone is a dead ringer for our boy Dave. Davie, too, walks with a light step, has that beautiful smile; he brings a lift into any room and like Lincoln �malice toward none.' Davie works for NBC in London now." Personal letter used with permission of Suzanne LaMotte Stepp and David Weber. Included in special copies of Nonie: An Autobiography and Biography of Lenora Mattingly Weber. Copyright 2002, Publisher: Image Cascade Publishing, New York.